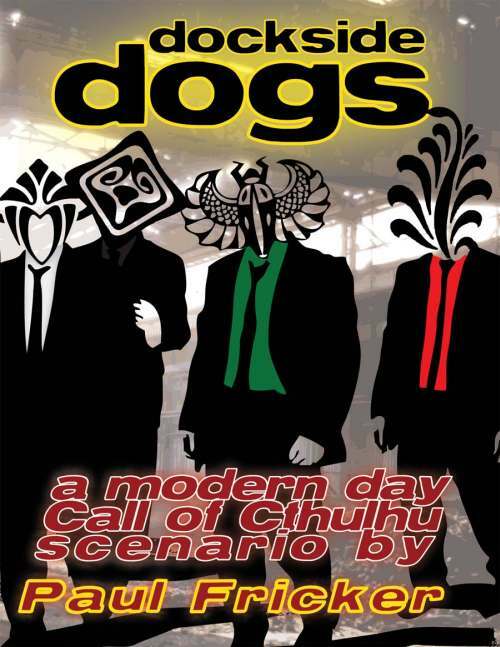 In late May 2012 Paul Fricker released Dockside Dogs, a PDF Call of Cthulhu scenario of extreme weirdness loosely based upon a certain Tarrantino film. His goal in releasing it is to raise money for Cancer Research via the Relay For Life UK charity. 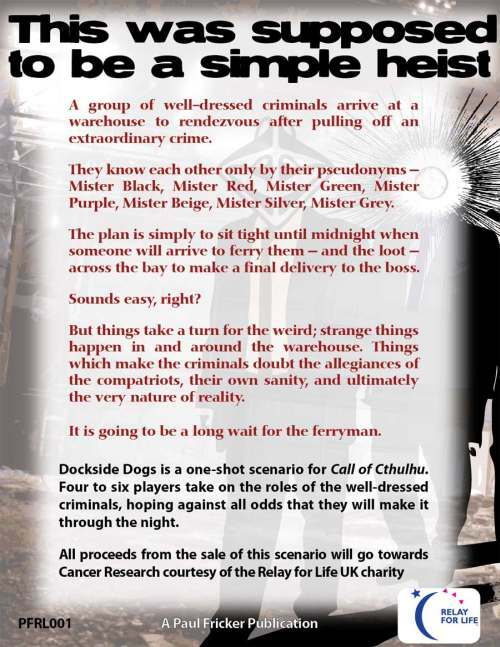 You can buy this brilliantly bizarre scenario via this DrivethruRPG page. Paul is asking for a donation of US$5 for the PDF, although I would strongly encourage folks to donate more to this very worthy cause. All proceeds from the sale of PDF go to the Cancer Research charity.